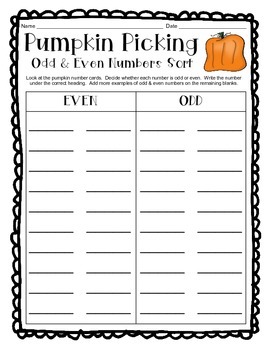 This fun Halloween/Fall themed sort will be a fun way for your kiddos to review the difference between odd and even numbers! 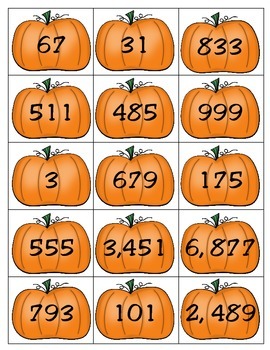 Pumpkin number cards are included with a recording sheet. Enjoy!! CCSS.Math.Content.2.OA.C.3 Determine whether a group of objects (up to 20) has an odd or even number of members, e.g., by pairing objects or counting them by 2s; write an equation to express an even number as a sum of two equal addends.